Hey y'all! 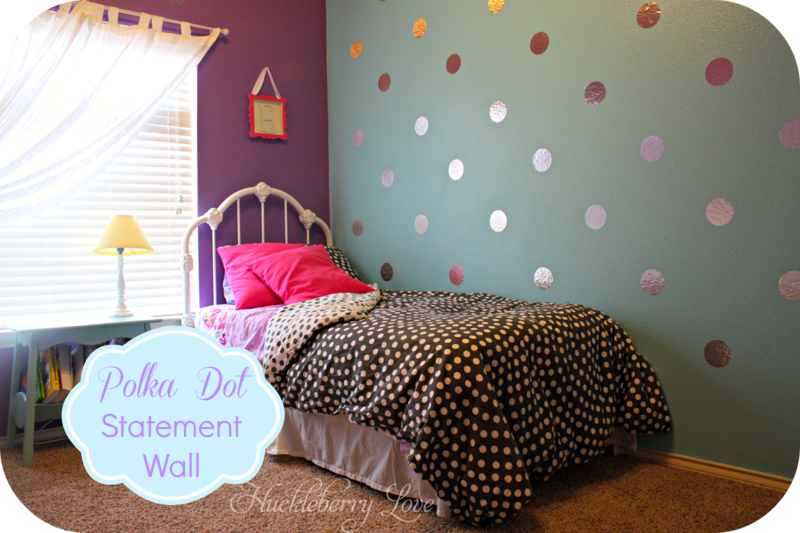 Check out this super cute Polka Dot Statement wall we made for little miss Ella's room! So my oldest daughter just turned 5. I am freaking out a little bit inside, and am super anxious about the first day of Kindergarten fast approaching. I know she'll do great, but I'm still struggling. Suddenly I am searching for more time with my little girl! 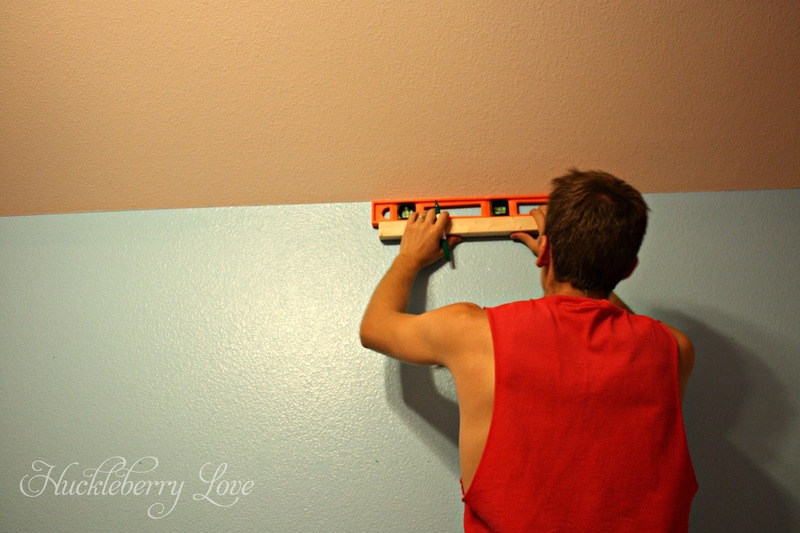 What better of an activity than planning a mini room makeover for her birthday! And what is almost every 5 year old girl obsessed with? Frozen, of course! It all started when I snagged a poster for her room. Then came the decals, and we just had to get rid of the pink walls. I'm very aware that she'll grow out of this phase, but everything we have done to her room can be changed in a matter of minutes. If she just hates it, then she'll just be stuck with a purple, aqua, and gray room. Not so bad, right? 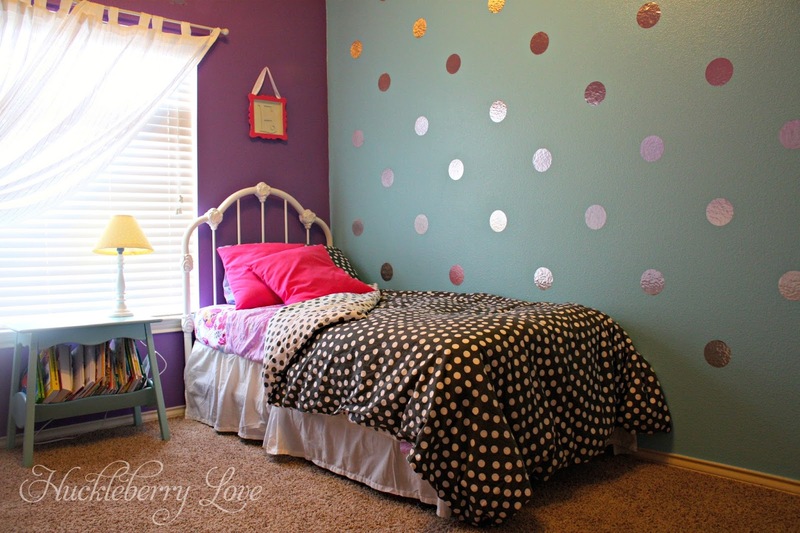 One thing I know she wont grow out of is the super cute polka dot statement wall. She absolutely loves it, and the coolest part is how the stainless steel look reflects all different colors in her room. Here's the contact paper you're looking for. 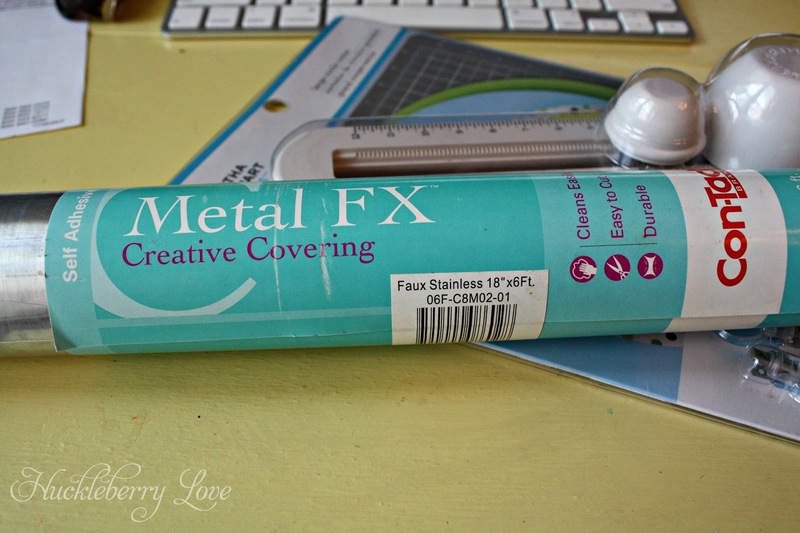 Stainless steel contact paper, who knew! I started by rolling out my contact paper and making sure to avoid forming bubbles. I tried cutting circles on the contact paper, straight off of the roll. 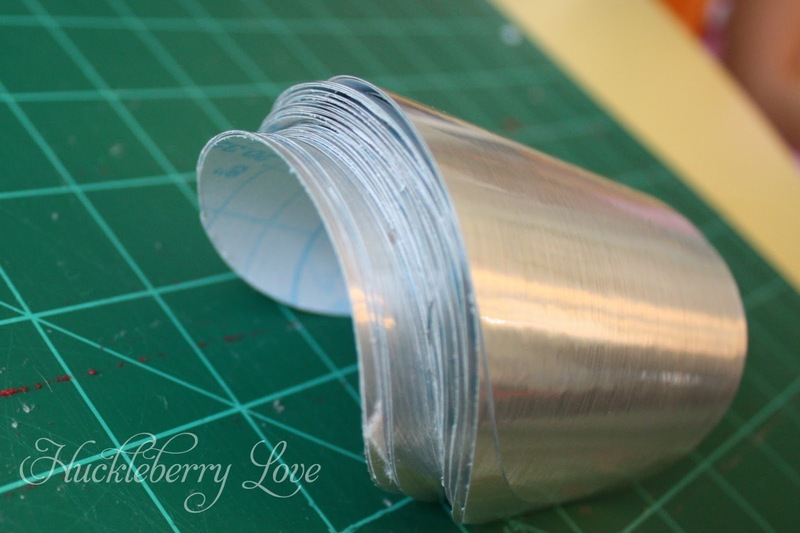 After many frustrating attempts, and not so perfect circles, I decided on cutting the contact paper into 5" strips. 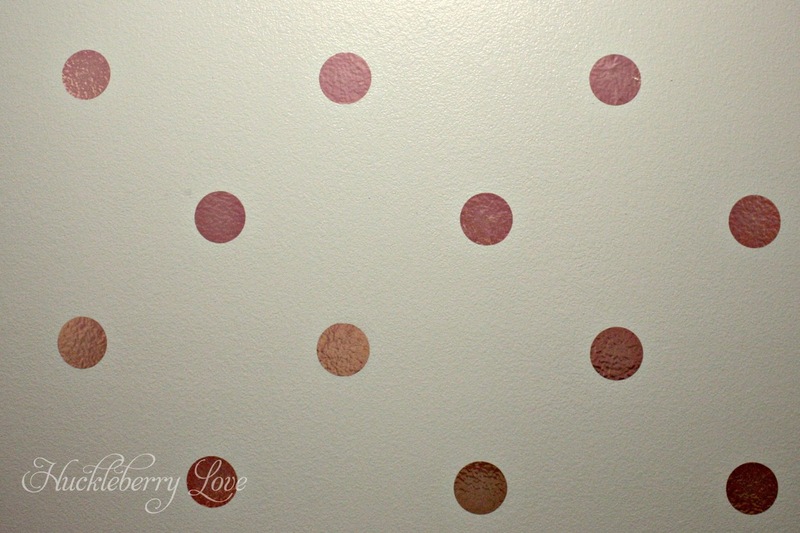 This worked like a charm, and I was able to get enough 4" circles out of one roll of contact paper to cover the wall. 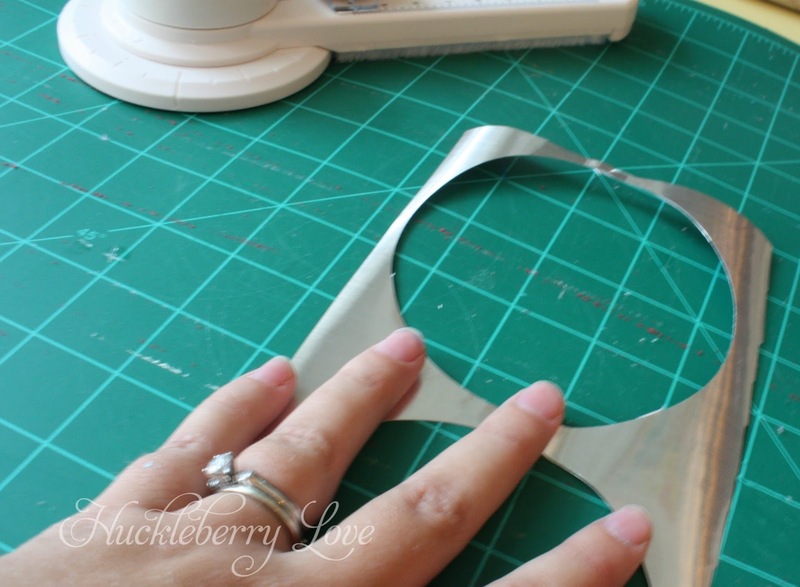 Once you've got your 4" circles cut, it's time to map the wall out. I placed two circles on the side of the wall, in what looked like a good distance apart. I then took that measurement and divided it by two, to get the distance until the next column of dots (or how much they would be offset). After I had my first three dots placed, I had my super helpful husband measure the same distance (in rows & columns) and mark the wall with a sharpie. To make sure it was completely perfect, I had my husband cut a piece of wood to the 21" length and placed a level on top for each space. We just continued on, placing dots, until the whole wall was covered! 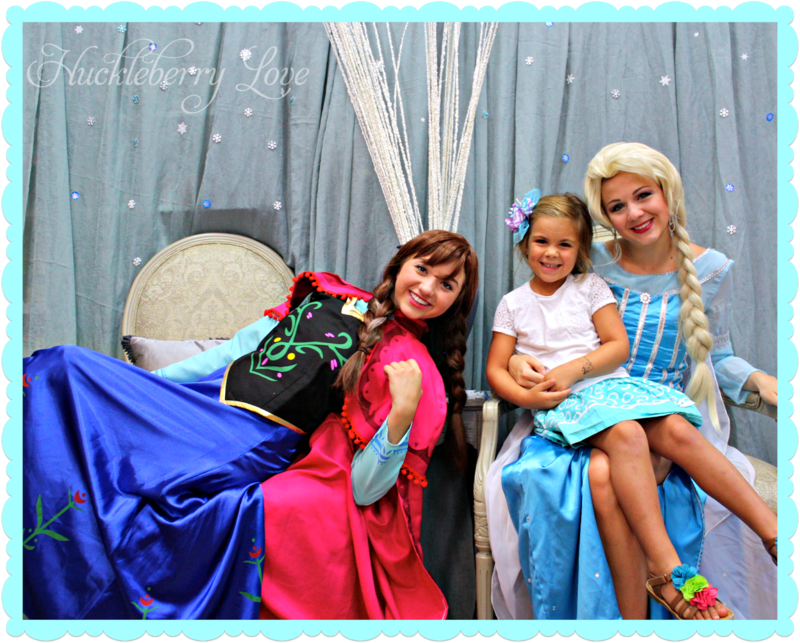 And voila, her Frozen was room complete! I even bought her Elsa sheets for her birthday. Her name from her birthday banner looks awesome over the dresser! 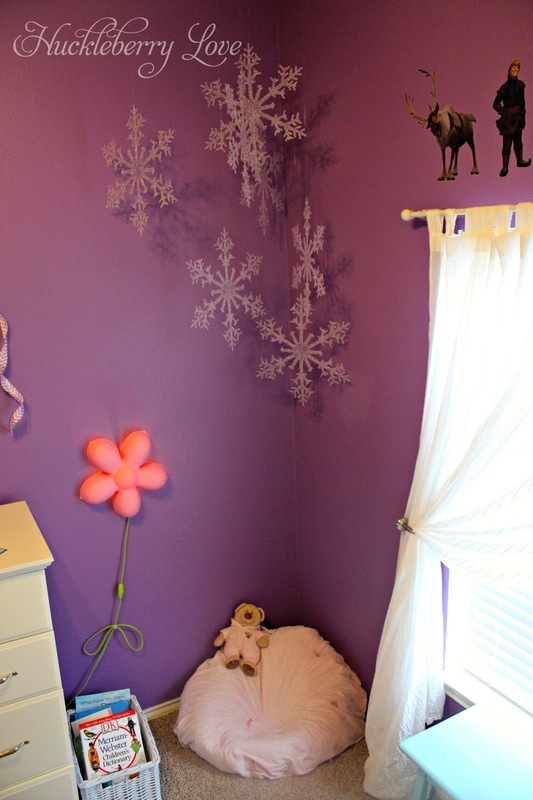 We even broke into the Christmas decorations and hung up these snowflakes above her beanbag in the reading nook. She's in love! And can't wait to show every friend that comes over. It was so fun to do along side my big 5 year old :-) I've even saved a few projects for her room once school starts, so we can have some more fun crafting together.